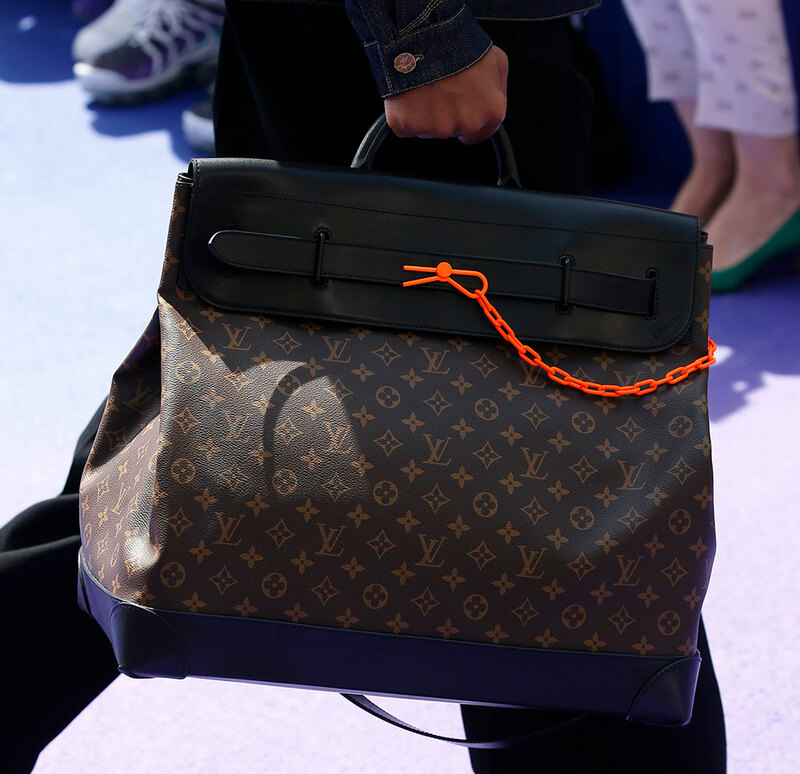 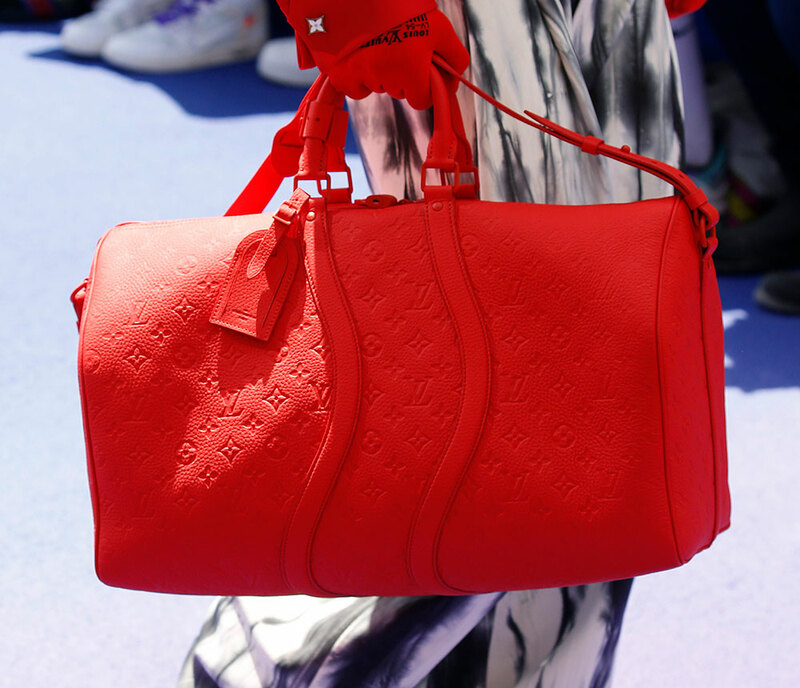 The Louis Vuitton Men's Spring 2019 collection, Virgil Abloh's first for the brand as its new creative director of menswear, will be controversial by the very fact of who Abloh is as a designer: he's gifted at interpreting trends and influences, fusing low and high, and finding a way to translate longstanding luxury signatures for a young, internet-savvy audience. 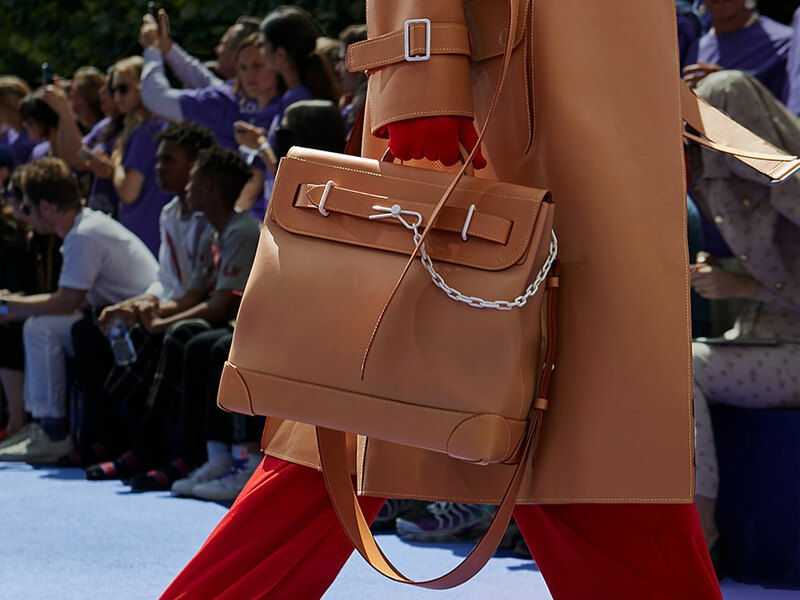 For a lot of older and more established luxury shoppers, those strengths are often interpreted less positively: pandering to trends, copying, cheapening the brands they love, shifting focus away from them to people who they think, frankly, haven't earned it. 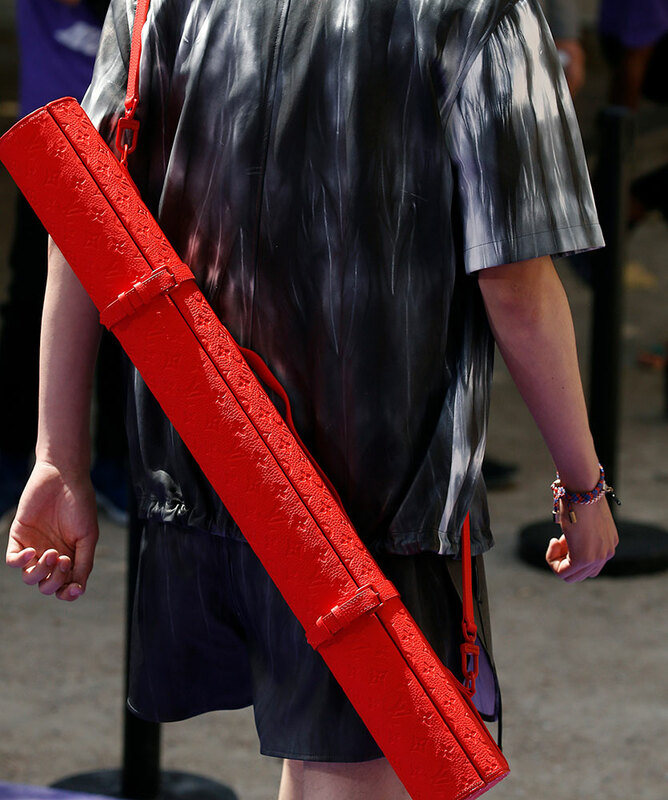 The reality of Abloh's work, and of his first LV collection, is somewhere in the middle. 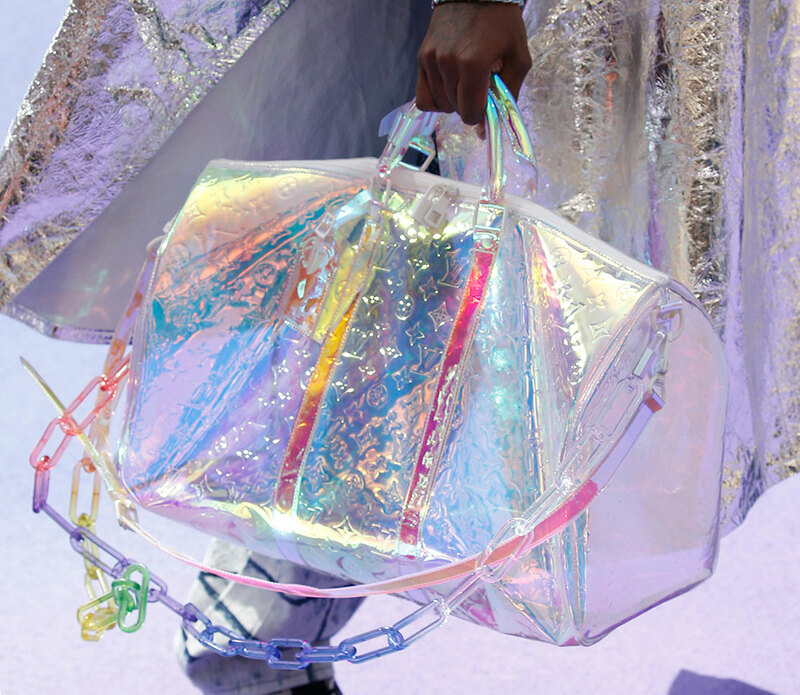 Both the show and the collection were joyful and multicolored, with a forever-long rainbow runway and bags that ranged from pure white to near-neon red and iridescent PVC. 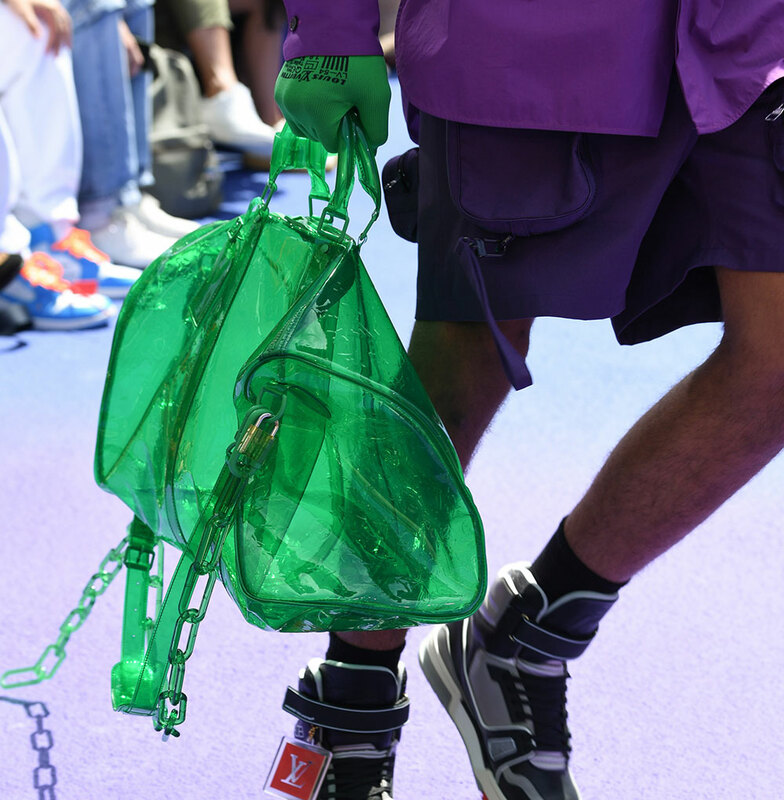 The see-through Keepalls are a lot of fun but look cheap and undoubtedly won't be, and refinement in finishing is something Abloh has needed to step up for a while. 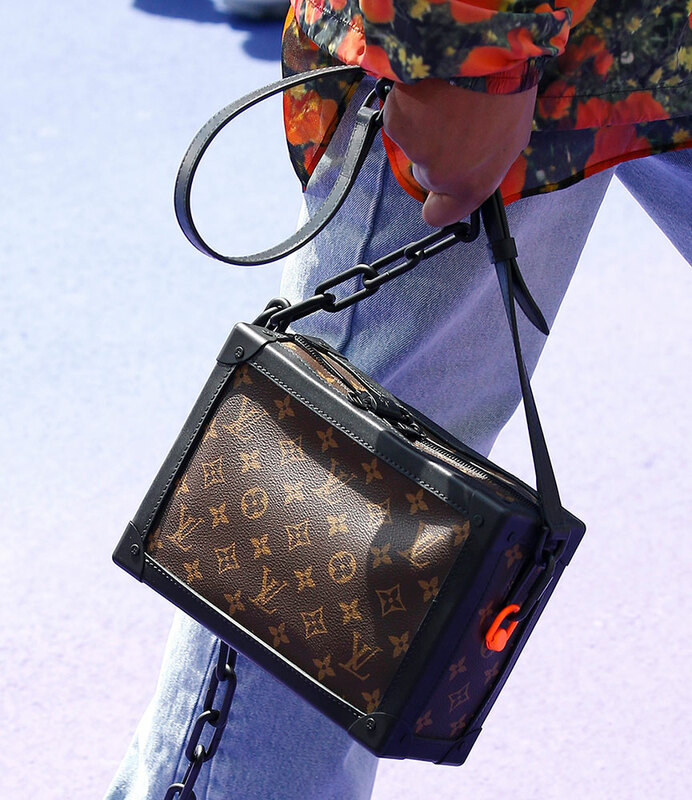 I don't doubt that he will at Louis Vuitton, though, with the company's enormous resources and vast staff at his disposal. 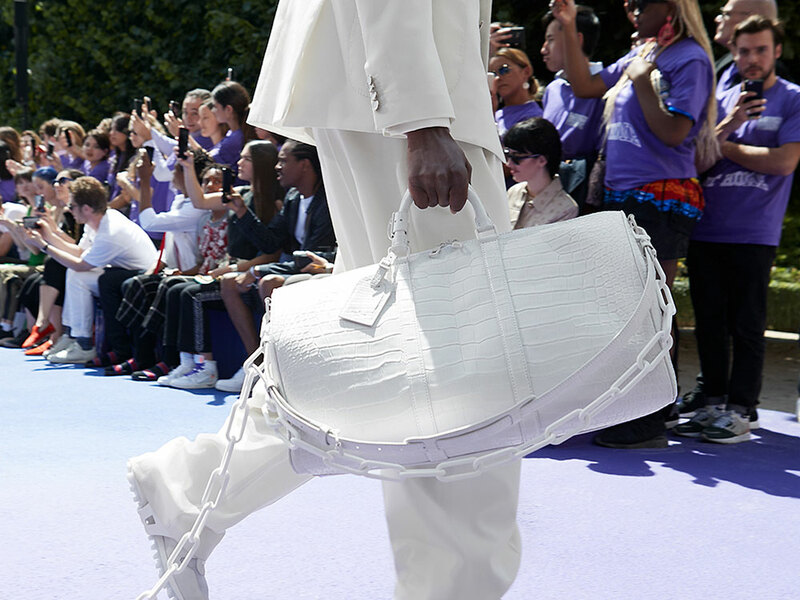 (And, of course, with LVMH executives looking over his shoulder.) 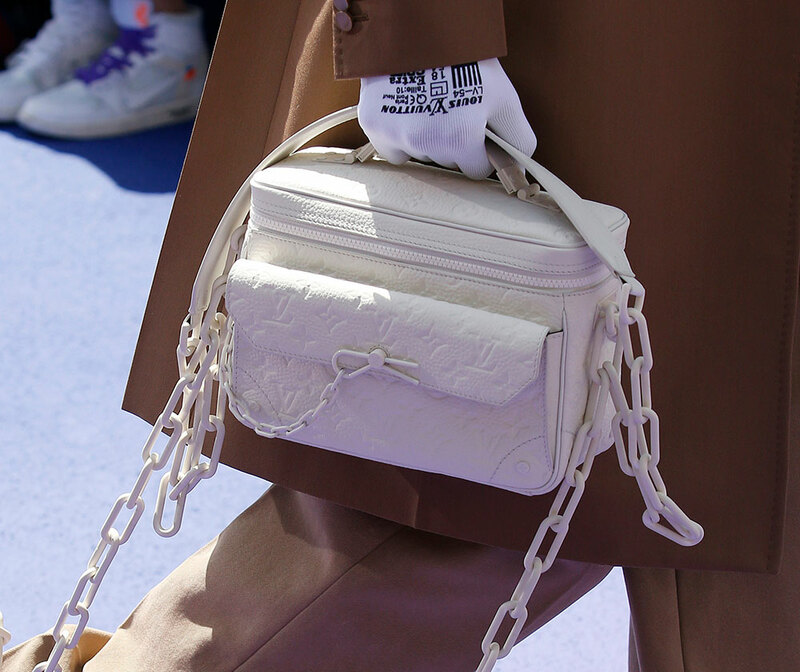 And some of his influences come through with too little "interpretation," particularly in some clothing that showed signs of now-defunct New York brand Hood By Air. 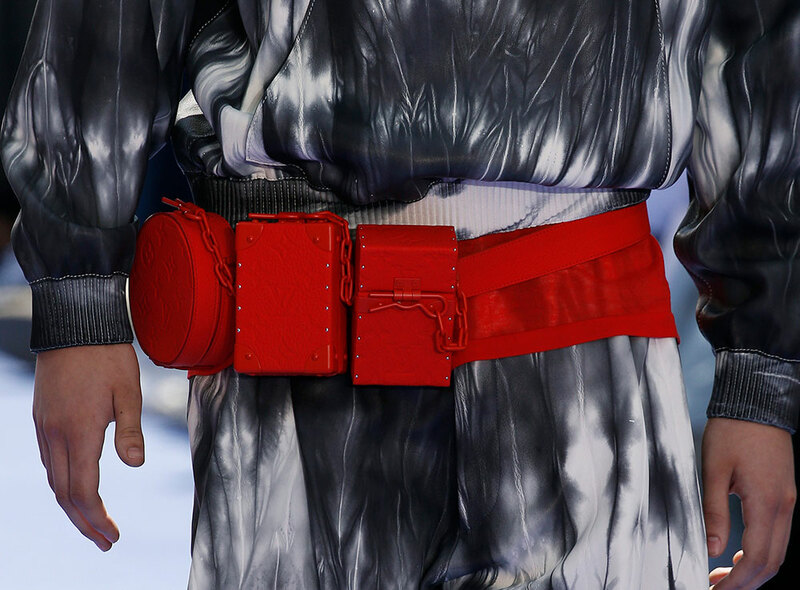 Some of Abloh's detractors, though, might be surprised by other parts of the collection. 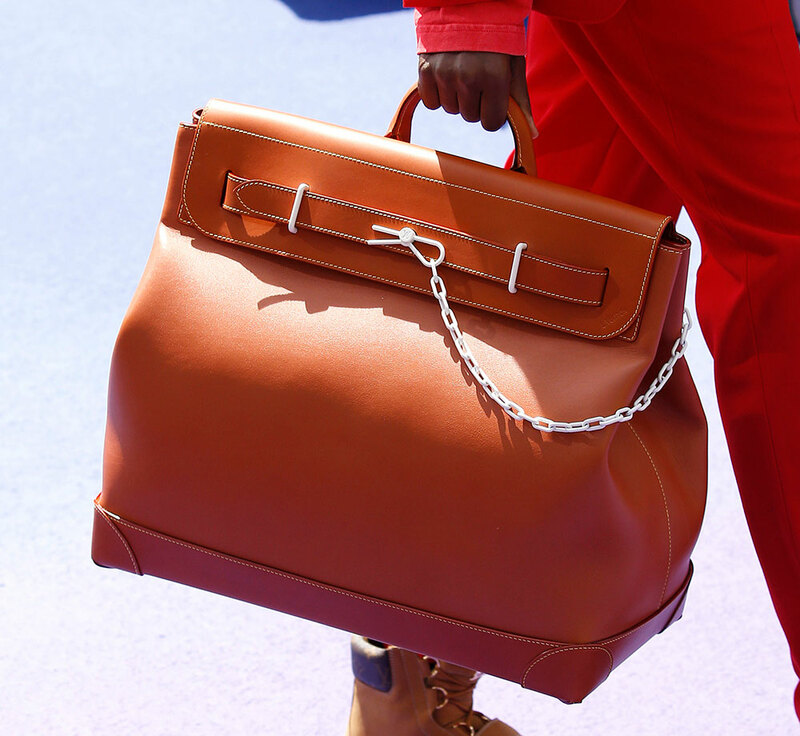 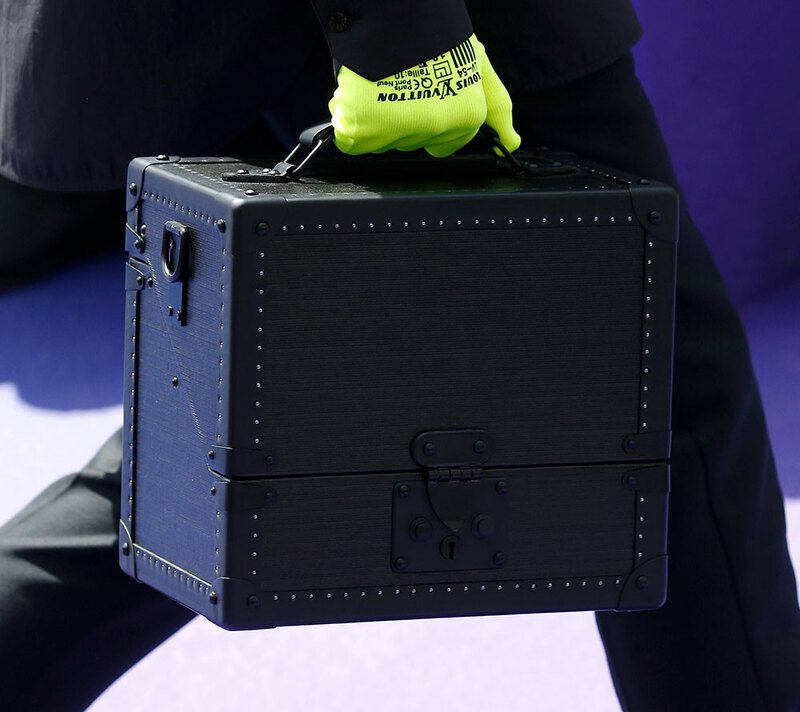 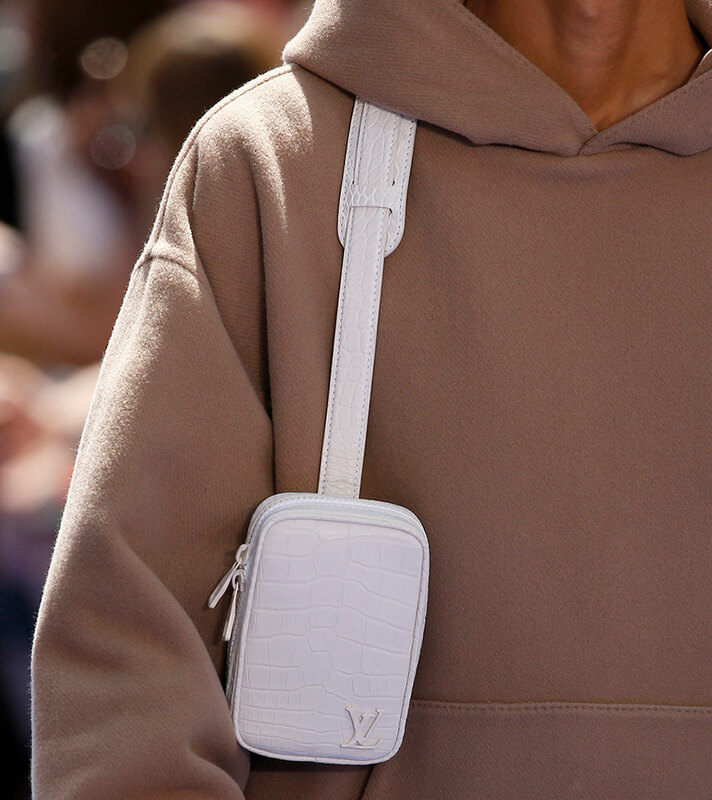 His leather bags were largely both loyal to Louis Vuitton tradition and very expensive-looking, with a flourish here and there to indicate the guard had nonetheless changed since last season. 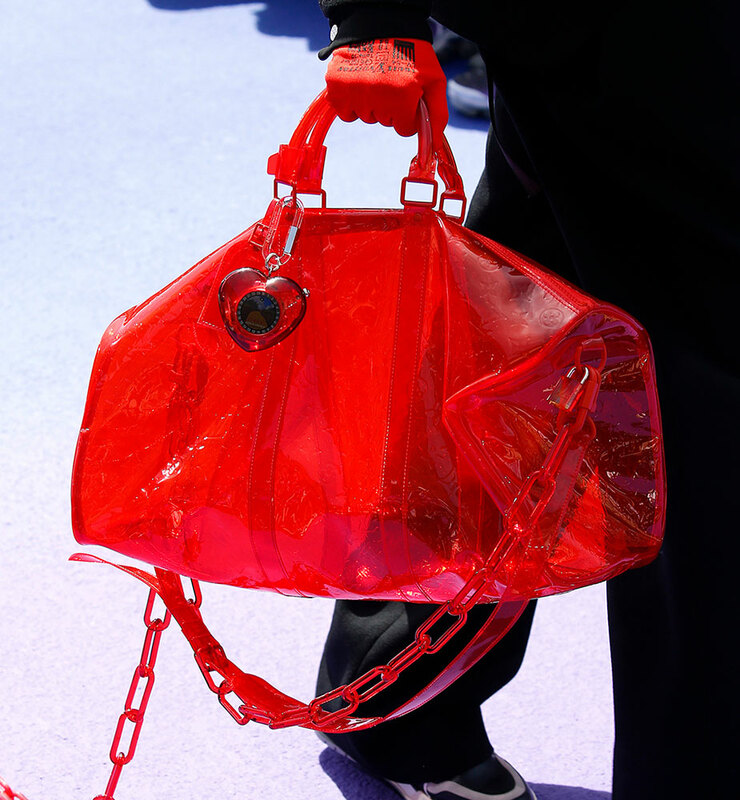 My favorite touches were the grenade-pin closures, fastened to bags with chains. 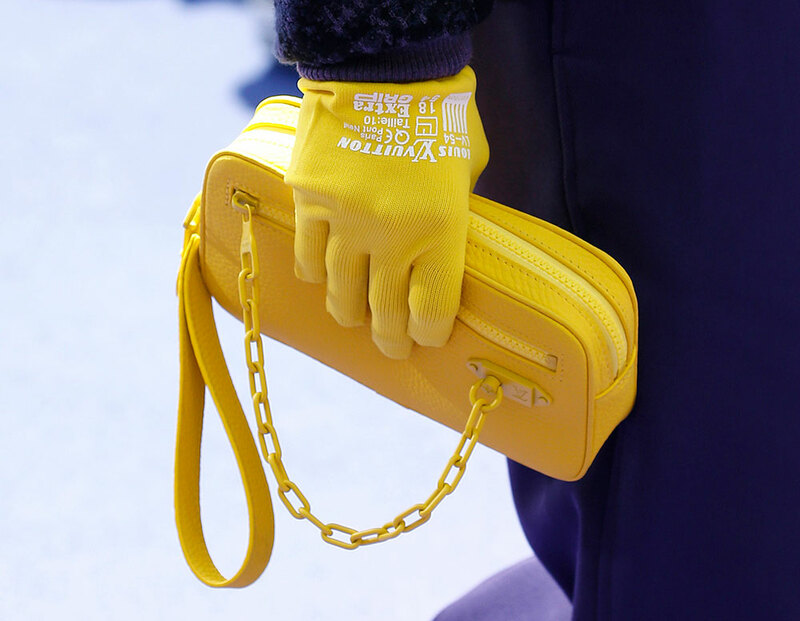 It took my brain a moment to settle on what they were, which is the exact level of cleverness I like in a detail. 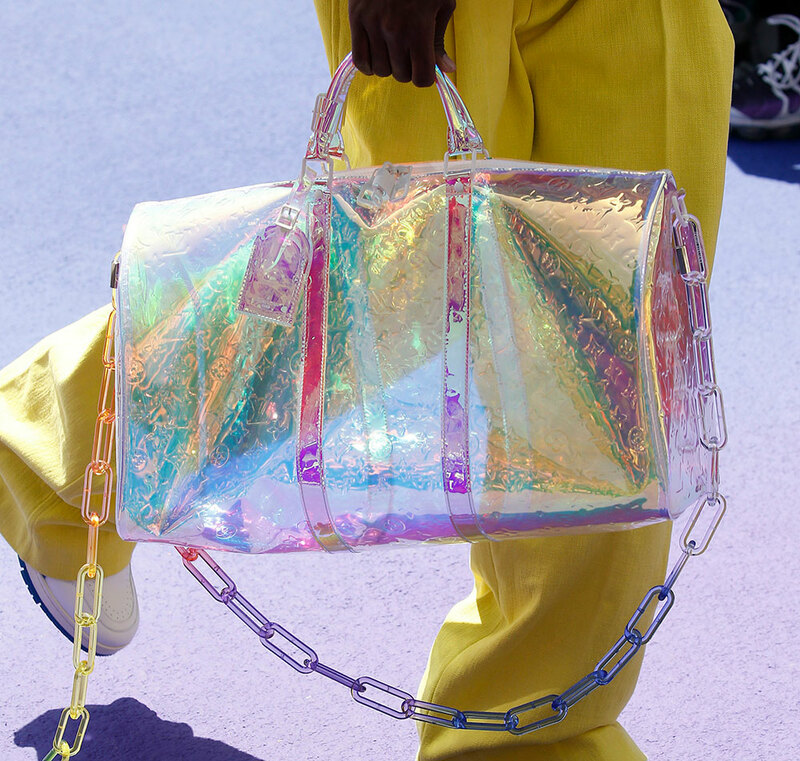 It also manages to be clever without being cutesy, which is a tone that women's designers in general could try a little harder to strike in these situations. 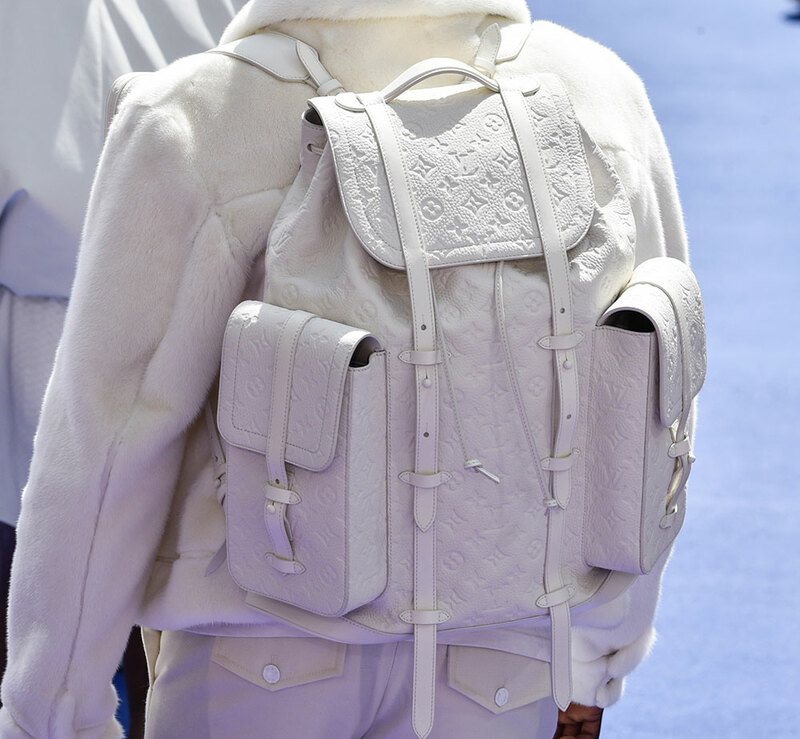 Overall, the collection seems like it will be a consumer hit, and it makes me look forward to what else he'll do with the brand.